What is the best cooling blanket? It is important that the product is made of natural fibers and in accordance with advanced cooling technologies. These weighted blankets should have multiple layers and padding to contain beads. We believe that Quility Premium Weighted Blanket meets all these criteria best. Sizzling in bed on a hot summer night? Exhausted from insomnia and tired of night sweats? Don’t worry, there are solutions for you. In this guide, we’ll cover various cooling blankets that can help you alleviate stress and keep you cool. We’ll learn how they work, what science there’s to back up their effectiveness and types of cooling blankets available on the market. We’ll also review the TOP 6 Best Cooling Blankets to help choosing one less of a hassle. Tossing and turning in bed can be really exhausting. I am one of those people, who often struggle to put oneself to bed, as though insomnia has become my partner that won’t quit no matter how hard I try. More often than not it’s the heat that keeps me up. I heard about the cooling blankets and decided to find out if they actually worked and if there was any science behind them before I make my well-informed decision to purchase one. This guide is my humble attempt at getting to the bottom of it. Feel free to join me on this research to find the perfect cooling blanket that will make you sleep through the night. How does cooling blanket work: myth or reality? So, what is a cooling blanket? Cooling bedding is essentially a temperature-regulating set of bedding accessories that can include cooling pillows, mattresses, sheets, and blankets. This guide will specifically concentrate on cooling blankets. 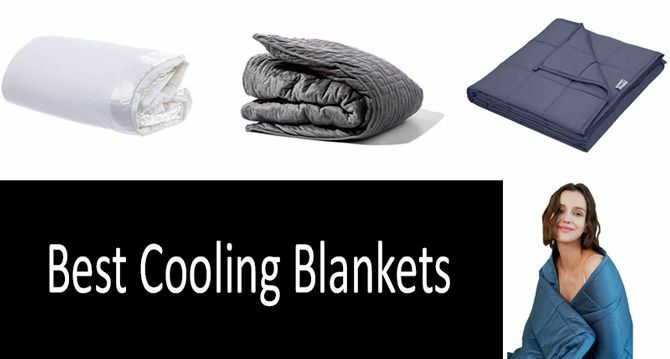 There are different types of blankets that claim to regulate body temperature, and we’ll look at them in detail later on in this article. 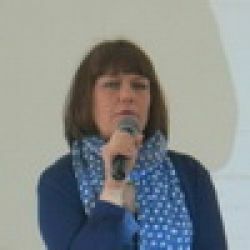 Most of the research into benefits and limitations of cooling bedclothes concerns medical aspects and treatment of various conditions in both adults and children. One of the most researched subjects in those studies is fever management with the use of external cooling blankets. The study that was published in Clinical Infectious Diseases (2000) concluded that while physical cooling methods are generally indicated for fever treatment, the use of cooling blankets remain controversial “because of their propensity to induce cutaneous vasoconstriction, shivering, sympathetic activation, and, perhaps most importantly, discomfort.” I can certainly relate to the discomfort associated with cooling patches and cold packs that my mom used to put on my head or various parts of the body when I was ill way back in childhood. I have my own kid now, and while I do try to remove unnecessary clothing when he has a fever, I try not to go overboard with applying ice packs and cooling patches on my son’s body. However, babies can, in fact, benefit from cooling blankets. There was a report in the American Health Journal specifically dedicated to the treatment of newborns who suffered from the lack of oxygen during the delivery. Placing the babies on cooling blankets to prevent brain damage quickly reduces their temperature, slows down their heart rate and allows them to “hibernate” while their bodies and brains heal. The medical cooling blankets vary in sizes and shapes according to the intended purpose and function they need to perform. Most of these medical cooling blankets come with other specialised professional equipment that requires additional knowledge and practice to operate. The use of such blankets vary extensively: blood temperature control, localized therapy (burns, after surgical treatment, injuries, etc), hypo-hyperthermia, etc. More practical aspects of the scientific studies that directly relate to the subject of our investigation are concerned with cooling technologies that were initially developed for NASA. Since 1950s NASA scientists have been researching materials that would protect astronauts in space from drastic and extreme changes in temperature. The earlier space suits were cooled by running water through small channels throughout the suit, but they were not very practical. In the late 1980s NASA, in conjunction with the US Air Force, developed passive temperature control strategies that resulted in the creation of Phase Change Materials (PCMs), which would later be used in spacesuits. In the 90s the technology became available to the general public and was incorporated in bedding, garments, and medical supplies. This technology is now known as Outlast technology: it utilizes microencapsulated PCMs that absorb, store, and release heat. When describing how the technology works, the Outlast compares it with an ice cube that changes from solid to liquid by melting in a drink and keeping it cool. There are other technologies available for cooling blankets, but they are not as outstanding and scientifically proven as the Outlast, and we’ll cover them later while describing the types of cooling blankets. Who can benefit? What is a cooling blanket used for? Cooling accessories can be beneficial for those who suffer from hot flashes and night sweats. These conditions seldom indicate serious medical conditions, like fever, recent excessive weight-loss, menopause, diarrhea, localized pain, and various sleep and anxiety disorders. Night sweats can also be a side effect of taking medications, like antidepressants, diabetes, or hormone-blocking drugs. If you are not struggling with any of the above-mentioned diseases, night sweats should not be a cause for serious concern. But in any case, whether you are taking medication, struggling with anxiety, or just feeling hot because well, it is summer night for god sake, cooling blanket can be your lifesaver. Or at least it can help alleviate the sweating and inconvenience associated with excessive heat. I’ve found a great deal of blankets that can provide satisfactory cooling effects. I’ve further divided them into several groups so it would be easier for you to choose. If you just want to find the most organic and breathable material for your bedding, and would not want to pay a fortune for any of the NASA technologies, then stick with regular high-quality cotton, linen, or bamboo fabrics. If choosing between these three, I would suggest going completely 100% bamboo. There was a study published in the Journal of Applied Research and Technology comparing regenerated bamboo and cotton performance in warm environments that concluded that both cotton and bamboo had low thermal conductivity and were “excellent materials to fabricate summer clothing”. However, if chosen between the two, 100% regenerated bamboo significantly reduced heat storage rate in the human body without compromising comfort. One of these very simple cooling blankets is NuvoLe Cooling Throw Blanket from 100% Bamboo Fiber. Linen is also well-known for its cooling properties, high moisture absorptivity and moisture vapor transmission rate, high air permeability and stiffness. It’s also scientifically proven to be cooler than cotton or silk. One of the good examples of 100% linen blankets is the Sofia's Linen Pure Flax Linen Blanket. The Outlast technology has been discussed above. This technology was initially developed by NASA scientists when they were looking for materials that would help regulate extreme temperatures that astronauts face in space. The Outlast blankets have a special lining that continuously interacts with the human body and regulate its microclimate by adjusting its temperature to either release heat or absorb it. One of the basic examples of these cooling blankets is Outlast Hypoallergenic 100% Cotton Blanket. Another type of cooling blankets is so-called weighted cooling blankets. Weighted blankets are essentially comforters with pellets, beads, chains woven throughout the bedding for the weight to be evenly distributed when a person lies underneath it. While weighted comforters have been used in mental health practice for a long time, it was not until 2017 when they become widely known and popular across numerous demographics thanks to the Kickstarter campaign for the Gravity Blanket. The basic notion behind weighted blankets is that they help cope with stress and anxiety and various other mental health issues by providing constant tactile stimulations across the body. You can essentially choose any weight you want from 5 to 25 lbs. While there’s no way you can substitute regular therapy and medication for a simple blanket, people with autism and other developmental disorders can indeed benefit from gravity blankets, which can calm, relax, distract, and increase reality orientation. The cooling effects of these blankets, however, come from the earlier discussed fabrics: bamboo, linen, and cotton. The manufacturers often claim that they use a mixture of certain cooling fabrics that wick moisture away from the body. Some of those materials can be 87% polyester and 13% spandex. A somewhat entirely different subset of cooling blankets is intended for animals. Dogs specifically can benefit from the cooling bedding: they cannot cool themselves by sweating like humans, they would sweat a little bit through their pads, but their primary cooling mechanism is panting. Unfortunately, if it’s too hot, panting won’t be enough and the dog will suffer from the excessive heat. Water-filled cooling beds - these are essentially pads that you fill with cold water. They are not very practical: they can spill, leak, or tear down. Pressure-activated cooling pads for dogs - these are gel-based; the chemicals in the pads absorb the dog’s excessive temperature thus, cooling her down. One of the good representatives of pressure-activated cooling pads is The Green Pet Shop Dog Cooling Pad that’s easily recharged, designed for large dogs and would keep them cool for 4 hours straight. Unfortunately, there’s nothing specifically created for cats. So if you think your cat suffers from the heat, you might buy one of the pads that are designed for dogs, or opt for simple breathable fabrics. Look at this cooling blanket for cats and dogs, for example, PAWZ Road Pet Blanket. It’s made of breathable mesh and self-cooling fabric that will keep your pet cool and comfortable. In case you wonder, there are cooling blankets for horses too. These are made of cooling fabrics like polyester fleece with antistatic technology and hydrophilic quality that regulates body temperature of an animal. Weatherbeeta Anti-Static Fleece Cooler is one of these cooling blankets for horses. Would you like to try the new technology that’s supposedly approved by NASA? Then Outlast is your bet! Budget. Last would be price, and this would be first if you have a tight budget. Opt for simple breathable fabrics if budget is your primary concern. Primary user: child, pet, spouse, or yourself. Now, let’s cover the TOP 6 best cooling blankets for humans that are currently available on the market. We’ll cover everything from fabrics to the sophisticated high-end cooling control systems. Outlast (as was discussed earlier in this article) is a special cooling technology that was initially developed by NASA scientists and then later became available to the general public. This cooling blanket is made of 100%cotton sateen weave. Outlast technology micro-capsules called Thermocules absorb, store, and release heat to help you maintain optimal sleep temperature. Available in four sizes and colors to match your space needs and room aesthetic. This is the original Gravity blanket that was developed as a result of the Kickstarter project to help spread mental health awareness and benefits of weighted blankets across various demographics. The gravity blanket uses “deep touch pressure stimulation” to help improve quality sleep and relaxation. The super soft microfiber material keeps you cool, comfortable, and calm. This cooling blanket dimensions are 48 inches by 72 inches, which is suitable for one person. You can choose between 15 lbs and 25 lbs, with 15 lbs suitable for a person weighing no more than 150 pounds. Unfortunately, the buyers commented on the problems that Gravity had with manufacturing which resulted in the unevenly spread weighted beads that shift wherever you move the blanket to. Perhaps, one of the batches was not up to the standards. Fortunately, there are other options available for you to choose from. This is yet another cooling weighted blanket that can help you deal with both mental issues and night sweats. Ultra soft 100% cotton material is filled with non-toxic hypoallergenic glass beads. The beads are placed in special pockets to prevent them from unevenly spreading out across the blanket. The Quilty features a soft removable cover, which makes washing and taking care of it easier and less of a hassle. The manufacturer promises, that deep touch therapy and cooling feel of cotton material will make your sleep finally comfortable and serene. Quilty provides recommendations for choosing the right size and weight for any person: choose 15 lbs if your weight in under 180 lbs, choose 20 lbs if it falls between 170 and 230 lbs. If you have a twin bed, then 41 by 60 inches will do the job, for the queen bed - 60 by 80 inches. Available in 9 sizes and 4 color schemes if you want to liven up the look of your bedroom a bit. The ZonLi weighted blanket is made of 100% breathable natural cotton, which makes it cooler and more durable. The filling is non-glue polyester padding and hypoallergenic, odorless Glass Beads. This cooling blanket is not much different from the ones described above, except that it comes in 15 sizes and 18 colors to match your space requirements and room’s interior. Consumer response to this product is very positive, so if you prefer cotton rather than, say, bamboo, then this product will be to your liking. This cooling blanket from YnM is made of a silky smooth 300 thread count bamboo viscose filled with polyfill and glass beads. Comes with two extra layers of durable and breathable cotton fabric between the bamboo layer and the thin polyfill to maximize the durability and ensure beads stay in place. Available in the array of sizes and colors: 14 sizes and 10 colors. Consumer response to this one is overwhelmingly positive. This is a totally different product that is comprised of two BedJet base units, two wireless remotes, one King AirComforter sheet and free Bluetooth App for control from your iPhone, iPad, or Android device. This system is seldom called electric cooling blanket. The BedJet has a dual zone control temperature with two modes. Powered ventilation cooling that wicks body heat and moisture out of bed providing relief from night sweats and hot flashes. And a heating mode that heats the bedding 15 times faster than a regular electric blanket providing a solution for cold feet and legs. The BedJet system has to be put underneath the bed with 7 inches space with side rail clearance being 3.5 inches. On the downside, the product obviously needs space and can look somewhat clumsy and bulky. And of course, it’s pricey. What does cooling blanket mean? A cooling blanket is essentially a temperature-regulating bedding that wicks out the excess moisture out of bed by either utilizing special cooling fabrics or patented technology, like Outlast and BedJet. How to use cooling blanket? A cooling blanket is very intuitive to use: just snug yourself underneath and enjoy a good night sleep. However, if you choose to use the sophisticated temperature control system, then you will have to set it up first by putting a hose bracket under the mattress, placing a base unit near the bed and installing the hose and nozzle assembly. The manufacturer provides all the necessary steps for a quick and easy installation. What is a cooling blanket for babies? Cooling blankets for infants are usually required in medical settings to help the baby cope with the lack of oxygen during the delivery. Check with your baby’s pediatrician if she wants you to purchase a cooling blanket for use at home. What does a cooling blanket do? A cooling blanket helps regulate your body temperature with proactive heat management and interaction with your body’s microclimate. What temp for cooling blanket? In a medical setting, cooling blankets for hypothermia are automatically adjusted to 40 degrees F (4.4 degrees C). However, it’s been advised not to resort to extreme cooling temperatures and adjust the blanket temperature to somewhat 75 degrees F (23.9 degrees C). In regular settings at home, most of the cooling blankets do not provide the temperature regulating options. However, in BedJet you may choose whatever temperature you feel most comfortable with. What is the best cooling blanket? Outlast blankets are considered the most science-based and technologically advanced blankets on the market at this moment. When to use cooling blanket? / Why use a cooling blanket? Cooling blankets can be beneficial for people who suffer from various medical conditions: hyperhidrosis, menopause, hot flashes, anxiety, PTSD, OCD, depression, hyperthyroidism, and many others. Some just need it cool, so if you like a chilled night sleep, then cooling blankets are for you. Is there a cooling blanket for fever? Yes, there are special cooling blankets for hypothermia that are used in medical settings. A quick search into the consumer market has not yielded any results meaning they are not available for the general population. What is the best cooling blanket for summer? If you don’t want to spend a fortune, then opt for simple breathable fabrics, such as linen and bamboo. Is there a cooling blanket for hot flashes? cooling blanket for night sweats? I suggest you look into Outlast technology or purchase the BedJet system, they both would provide great relief from night sweats and hot flashes. Is there a cooling blanket for camping? There are no blankets that would be specifically created for use in camping, so I suggest you use regular breathable fabrics like bamboo and linen for covering. There’s, however, an all emergency blanket that can theoretically be used for cooling purposes outdoors but is not intended for covering. What is a cooling blanket for hospital use? Cooling blankets are extensively used in hospital settings for treating and alleviating various medical conditions: from preventing brain damage in neonates to providing relief from fever. These blankets usually come as a part of a specialised medical equipment that requires professional knowledge and is not available for the general public. Is there a cooling blanket for food? You can use FlexiFreeze Ice Sheet as a cooling blanket for food. Each sheet measures 19" x 8" x 5/8" and is made from industrial strength food grade plastics filled with 100% pure water. Is there a cooling blanket for car seat? I have not found any suitable options for adults, but there are a few cooling blankets available for babies. CoolTech Car Seat Cooler is one of these blankets that would keep your child cool. It takes a bit of preparation though, as it has to be left in the freezer overnight and then placed on an empty seat to cool it down. What is the best cooling blanket for sleep? It actually depends on your budget and preferences. I would go for cooling weighted blankets since I struggle with insomnia and they are supposed to provide relief from anxiety. However, if you are in the market for the cooling effect, then go for Outlast and BedJet. What is a cooling blanket for deceased? There are cooling blankets and beds available for care after death. This special type of bedding allows families to take their time to say the last goodbyes and keep their family member at home for a while after death before engaging with funeral services. One of these blankets is offered by FlexMort, the UK company that patented CoverCool technology. The cooling control system comes with a small cooling unit that circulates fluid through a cooling pad. A cooling pad has to be put directly on the body. There’s also an insulated cover available that can be placed over the deceased providing longer-term body storage. Flexmort also has cuddling cods available for infants to help parents cope with the loss of a baby. Healing Embrace can help you find one of those beds in the US. What is a cooling blanket for heat stroke? Based on a scientific research cooling blankets are not recommended as primary cooling methods in heat stroke. Complete ice-water immersion is advised as a highly effective method. Cooling blankets are definitely a reality! There are various types and technologies available for you to choose from. As time and research progress, these cooling solutions will become better and better. Hopefully, the research above provided you with a good starting point in your search for a good cooling blanket. Now you are that much closer to a good night sleep!